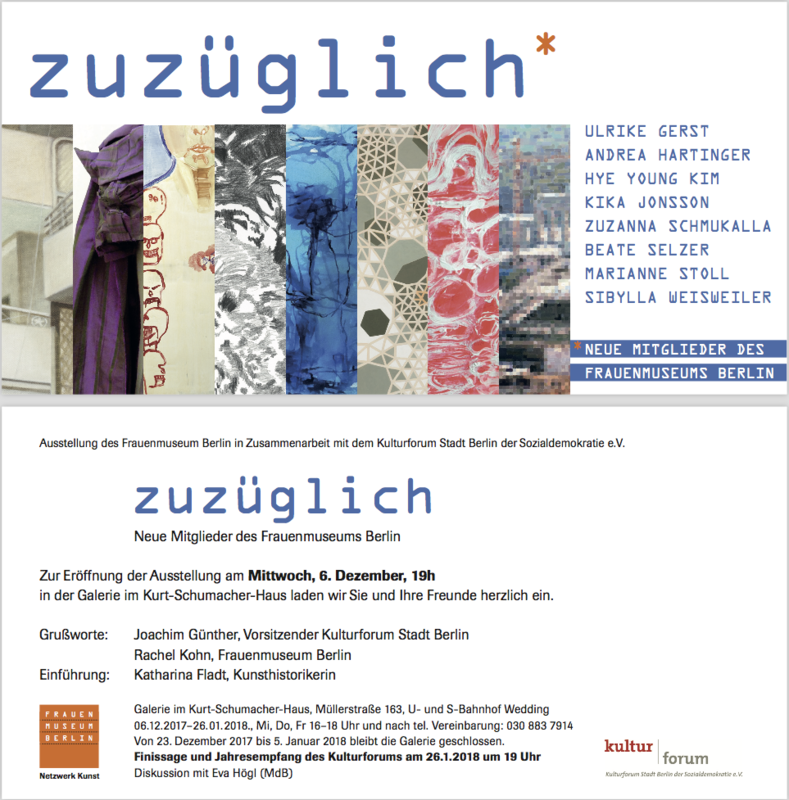 Please stop by the Galerie in the Kurt-Schumacher-Haus, Müllerstraße 163 this coming Wednesday December 6th starting at 19:00 to see my work as part of the group show zuzüglich, featuring the new members of the Frauenmuseum Berlin. The gallery is open Wednesdays, Thursdays and Fridays from 16:00 to 18:00 and by appointment. There will also be a Finissage on Friday, January 26, 2018, at 19:00.